The new Tesla TPOD Kit is a unique AIO starter kit with a fashionable watch style design and a simple large screen. 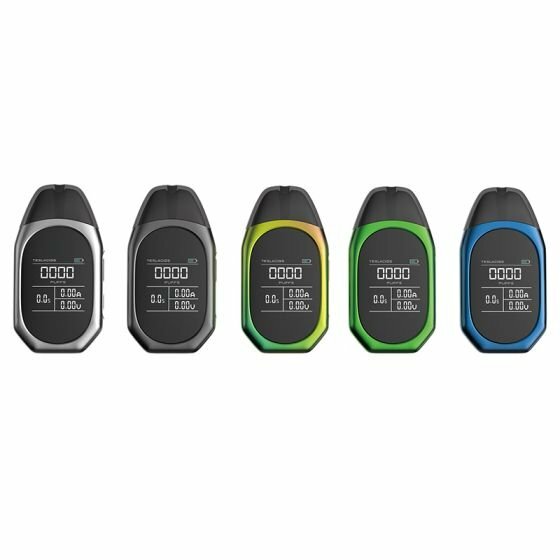 With the compact size and smooth curve design, the TPOD Kit is comfortable in the hand and easy to carry. Consisting of a 500mAh built-in battery and a 2ml refillable pod cartridge with an easy fire button with USB fast charging. The TPOD Kit will bring you a simple yet amazing vaping. The TPOD Starter Kit also comes with a powerful 1.5ohm coil head which can apply to nicotine salts perfectly. Just get the TPOD small vape device and enjoy a happy vape.